Replacing MR16’s or GU10’s halogen globes with drop-in LED versions are only half measures. The power reduction is there but the resulting lighting effect may disappoint. The replacement also requires the transformer to be replaced due to its incompatibility. A more economical way, say Tenrod , is their 4-inch Down Light lamps. 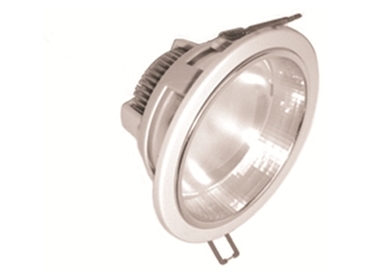 These lamps are powered by high quality LEDs in a high efficiency reflector and thermally managed enclosure. They are “C-Ticked” approved for Australia & New Zealand. Installation is very easy, cut out a 114mm hole. The lamp comes complete with its LED driver, mounting clips and terminals for mains connection. If replacing halogen lamps enlarge the original hole and install in its place. It is much brighter, and so it will not be necessary to replace lamp for lamp. Tenrod’s LED Down Lights comes in 4-inch and 6-inch sizes for replacement of incandescent and CFL lamps. They are mercury free with no fluoro disposal issues. They are rated to a L70 Lifetime of 35,000 hours (70% of original brightness after 35,000 hours).